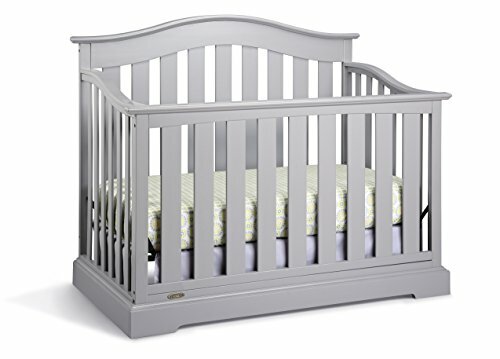 Add instant charm to your nursery with the classic Graco Charleston 4-in-1 Convertible Crib. With vintage good looks, romantic lines and a touch of history, the Charleston 4-in-1 Convertible Crib is sure to beckon many sweet dreams. Gender neutral, this design can fit any theme or classic room decor. The Graco Charleston 4-in-1 Convertible Crib is JPMA certified and is compliant with all CPSC and ASTM safety standards to ensure the safest sleeping environment for your child. 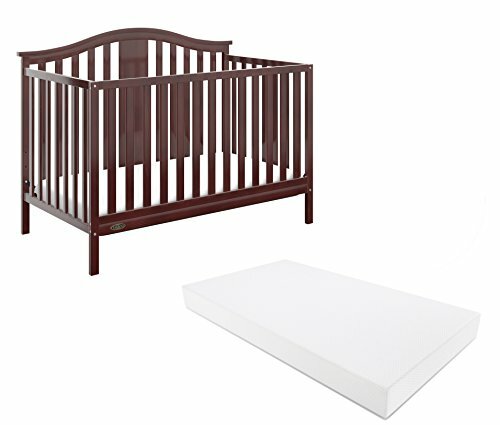 The Graco Solano 4-in-1 Convertible Crib WITH crib mattress provides tremendous style and value for any nursery. The first ever of its kind, the Graco Solano 4-in-1 Convertible Crib with Bonus Mattress includes both the convertible crib and crib mattress in the same box. This revolutionary crib and toddler mattress is flat-packed in the same box as the crib, and once unpacked will self-expand right before your eyes. The Graco mattress features a removable and washable mattress cover, water-resistant inner lining and is both anti-static and anti-microbrial. The Graco Solano 4-in-1 Convertible Crib has attractive clean lines and is versatile in growing with your child by converting to a toddler bed, day bed and full size bed (full size bed rails sold separately). The Graco Solano Crib WITH Mattress provides unbeatable quality and value that will last your family for years. The Graco Solano Convertible Crib is JPMA certified and is compliant with all CPSC and ASTM safety standards to ensure the safest sleeping environment for your child. 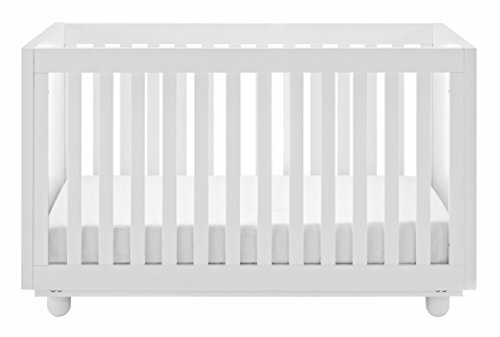 Carefully crafted, the Graco Freeport 4-in-1 Convertible Crib is simple and functional. It's practical design provides a transitional look for your nursery. It features stationary side rails for a safe sleeping environment for your baby with a mattress platform that adjusts to three different heights depending on the height of your baby. This crib transitions easily to a toddler bed, daybed and full-size headboard. The Graco Freeport 4-in-1 Convertible Crib is JPMA certified and is compliant with all CPSC and ASTM safety standards to ensure the safest sleeping environment for your child. The Graco Solano 4-in-1 Convertible Crib with Drawer is the perfect choice for any nursery. The Graco Solano crib has attractive clean lines and is versatile in growing with your child by converting to a toddler bed (toddler guard rail not included), daybed and full-size bed (full-size bed rails sold separately). This crib also features a three-position height adjustable mattress base so that you can lower the mattress to accommodate your baby’s growth. As an added bonus the Solano comes with a large drawer underneath the crib for you to store your baby’s belongings where they are easily accessible. With unbeatable quality and value, the Graco Solano 4-in-1 Convertible Crib with Drawer will last your family for years. The Graco Solano 4-in-1 Convertible Crib with Drawer is JPMA certified and is compliant with all CPSC and ASTM safety standards to ensure the safest sleeping environment for your child. Bring premium style and safety to your baby's nursery with the Graco Westbrook 4-in-1 Convertible Crib. 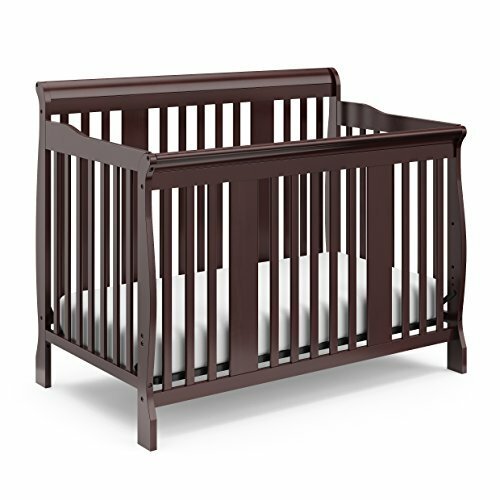 Available in multiple finishes, the Graco Westbrook Crib features a gorgeous bell-shaped headboard design and a base trim that surrounds all sides of the crib for a premium look. Featuring a mattress platform that adjusts to three different levels, the Graco Westbrook Crib is designed to grow with your child as it converts to a toddler bed (no guard rail), daybed and full-size bed (bed frame not included). The Graco Westbrook Crib is built to meet the industry's highest safety standards and is JPMA Certified and CPSC compliant. Transform your baby's nursery into a modern oasis with the Storkcraft Violet 3-in-1 Convertible Crib. 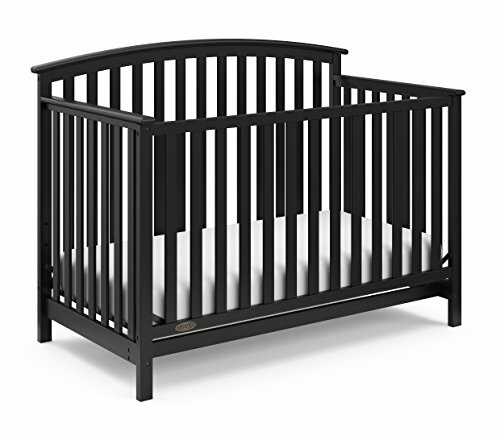 Solid end panels and clean lines with rounded feet give this crib a simple yet sophisticated look and feel. The Storkcraft Violet features a three-position adjustable mattress base that will grow with your child as it converts to a toddler bed (optional Storkcraft Toddler Guardrail sold separately) and daybed. The Storkcraft Violet 3-in-1 Convertible Crib is certified by the Juvenile Products Manufacturers Association (JPMA) and is stringently tested to meet or exceed all applicable Consumer Products Safety Commission (CPSC) and American Society for Testing and Materials (ASTM) safety standards to ensure the safest sleep environment for your child. The Status Collection from Storkcraft offers exceptional design and superior quality for your modern nursery. Timeless in design, the Storkcraft Tuscany 4-in-1 Convertible Crib combines beautiful curves and clean lines to complete your baby’s nursery. As a best-selling Storkcraft crib, it features a three-position adjustable mattress height and converts to a toddler bed (Storkcraft Toddler Guardrail sold separately), daybed and full size bed (Storkcraft Full-Size Crib Conversion Kit – Metal Bed Frame sold separately.) Constructed from quality pine wood and composites, the Storkcraft Tuscany 4-in-1 Convertible Crib is available in multiple, safe, non-toxic finishes. The Storkcraft Tuscany 4-in-1 Convertible Crib is certified by the Juvenile Products Manufacturers Association (JPMA) and is stringently tested to meet or exceed all applicable Consumer Products Safety Commission (CPSC) and American Society for Testing and Materials (ASTM) safety standards to ensure the safest sleep environment for your child. 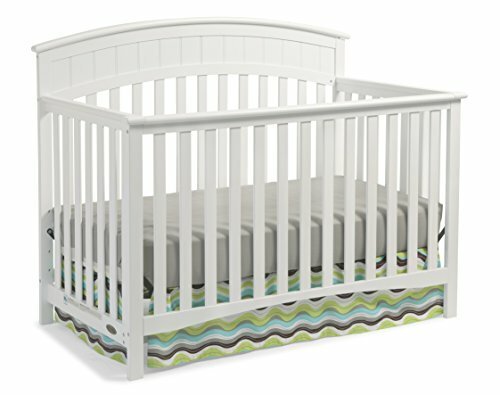 Extend the life of your child's crib with the Storkcraft Full-Size Crib Conversion Kit - Metal Bed Frame. Extremely durable, and offering a sturdy transition from nursery to adolescence and beyond, this conversion kit comes equipped with double-ended brackets that allow you to attach your crib's headboard and footboard. The ultimate in versatility and designed to be compatible with any 4-in-1 or 5-in-1 convertible crib, this metal bed frame can adjust to fit any twin/single, full/double or queen bed. 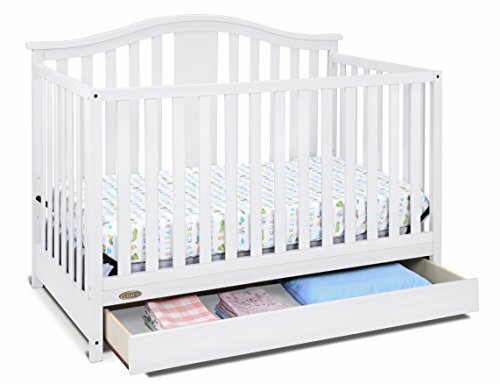 Featuring a solid metal frame and versatile design, the Storkcraft Full-Size Crib Conversion Kit - Metal Bed Frame will be dependable for years to come. Convert your full-sized classic crib into a toddler bed. Looking for more Cribs Convert Toddler Beds similar ideas? Try to explore these searches: Homestead Dog, Half Round Plastic Table, and Engine Std Piston Rings. Look at latest related video about Cribs Convert Toddler Beds. Shopwizion.com is the smartest way for online shopping: compare prices of leading online shops for best deals around the web. Don't miss TOP Cribs Convert Toddler Beds deals, updated daily.